Andrew Haley explicates how Bolaño’s unpublished manuscripts led to a US-based Spanish-language joint venture that included Random House and a Berlusconi-owned Italian press—a deal that will have large ramifications on how Spanish-language literature is bought and read in the Americas. 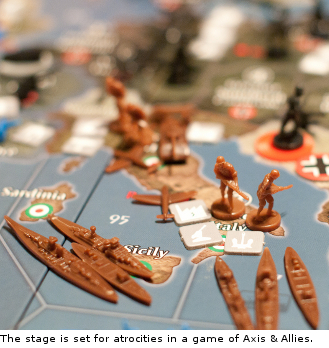 Business strategies may be an apt parallel to the novel in question: Bolaño’s The Third Reich is about an obsessive player of a World War II board game, not unlike the gaming classic Axis & Allies. El Tercer Reich was published last March and Natasha Wimmer’s English translation will hit stores this fall.